Since there are a multitude of general transcription services out in the market today, it’s difficult to choose one with the perfect attributes specific to your needs: are you looking to transcribe videos for your production? Are you a market researcher who needs transcripts of in-depth interviews and focus groups for your study? Or maybe you just want to broaden the audience of your podcast using transcriptions? Level of Accuracy. While it’s difficult to predict the level of transcript accuracy since it is not always true to claims of some general transcription services, the most effective way to get an idea of the quality is when a colleague have recommended or used a service before you. If you don’t have that option, you could always ask a provider for a free trial and see if the company will deliver up to your standards. Determining the accuracy of a transcription service is especially important for acquiring market research transcriptions since researchers need reliable data to capture insight that can make or break a company’s marketing efforts. Turnaround time. Meeting deadlines can be the most important thing for most, so it is only important that you look for general transcriptions that can keep up with your toxic deadlines whether or not you are requesting for a long file. You’ll recognize if a general transcription company cares and prioritizes your deadlines if they set realistic expectations for bulk requests. Choose the one that has paramount experiences in delivering timely scalable projects without errors or inefficiencies. For urgent cases, it’s very helpful if you have a go-to provider that accommodates RUSH turnarounds and can generate high quality transcripts without tightly limiting the length of rush files. Audio Formats. It’s great if a transcribing company supports a variety of audio formats, as this will save you time finding ways to convert media files. Audio formats usually depends on the type of your project. If you are conducting market research and are recording interviews or focus groups, you should be able to request for transcripts without the hassle of editing or converting raw videos to audio files. Or, you could look for general transcription services that can do file conversions for you, especially hard copy to digital media. Features. Of course, the uploading process should be easy. You should be able to upload multiple recordings at once, and the website should support large files – preferably more than 1 gigabyte per recording. Customizable transcripts are also handy to a multitude of projects – for example, the transcription service should know how to input timestamps or timecodes in the transcript that can serve as markers for analysis. Just as well, make sure that you choose a transcribing company that can offer you the luxury of providing them discussion guides and unique templates to comply to. And, the finished transcripts should be delivered to you conveniently – email being the most convenient way, as this allows you to easily share it with your colleagues and project partners. Transcription Pricing. We know that pricing is the “make it or break it” for you customers. It does not matter how much you think you would like a transcription service if it’s out of your budget, right? And it’s even worse if they charge you with hidden fees out of nowhere. You should only pay for what you need (i.e. pay-as-you-go). It is helpful if you have them discuss the transcription pricing in detail and clear things out about the possible upcharges. Obviously, the transcription rates should be affordable and within your budget – whether you’re in corporate or still a student. If you’ve found dirt cheap transcription services, investigate why – whether they’re using human or automated transcriptions – as this greatly affects the quality of the transcripts. Security and Confidentiality. Businesses have meetings, conference calls, earnings calls and many more, transcribed in a regular basis. Companies request for market research transcriptions often too, concerning products under development and not out in the market yet. Not to mention film production transcriptions and the like – all of which are very important to be kept under the blankets. Make it a habit to scrutinize companies’ security and confidentiality processes to avoid hacks and information leakage. A great general transcription service goes the extra mile in keeping sensitive information secured. Familiarize yourself with the culture of confidentiality of the provider you’re eyeing for. Make sure that safeguarding your confidentiality is their top priority. Personalized Customer Service. One of the causes of customer churn is awful customer service. Getting stuck in a phone tree then having to explain yourself to different customer associates every time you call is very frustrating. It’s very understandable that you want to be treated well and receive a good amount of attention as you’re paying for the services. Having a personalized customer service – an agent who understands and consistently attends to your needs is ideal. With TranscriptionWing, be assured that your files are handled with utmost security, deadlines met accordingly, and files turned in at its finest quality. Call us now at +1-203-413-2414 to get started with your transcriptions. Today’s advance technology makes a multitude of humanity’s tasks, practices, and activities easier. In fact, what used to be difficult transcription work is now a piece of cake once you leave it to technology. The emergence of audio-to-text solutions are everywhere, but keep in mind that it has its limitations as well. So, you should always look out for the cons as you take advantage of the pros when using automated transcripts. Speed. If you want to get your hands on transcripts ASAP, utilizing a transcription software may be your best option. This saves more time as its capable of a faster turnaround than human transcriptions. 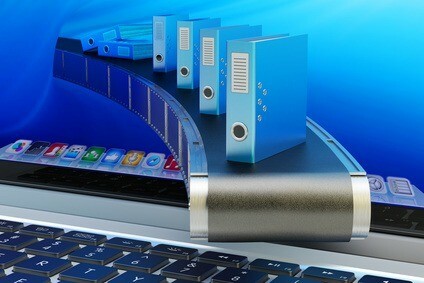 An online transcribing software can finish generating transcripts in minutes! Spelling. Remember auto-correct? You won’t have to search for the correct spelling anymore in times of hesitations. The software automatically and simultaneously checks spoken words against a digital dictionary as it types verbal sounds for you. It get rids of typos instantly. Accessible. Machine-generated transcripts are so accessible nowadays as many audio-to-text converters can be found in the internet – free to use anytime! You don’t even have to record on a separate device too. Just choose an online speech recognition or dictation software where your voice directly turns into text as you speak. Cost-effective. Automated transcripts are so dirt cheap that it can cost you NONE to just a couple of cents per minute. That is way less expensive than hiring a professional transcriptionist. Your staff’s productivity increases as well, as they make use of their time for more important, pressing tasks. Timestamps. You can find a few speech-to-text software that can automatically input timestamps in your transcript at your preferred time intervals. No need to spend time to listen back and manually input them yourself any longer. Accents and Fast Talkers. It is difficult for a transcribing software to accurately provide text versions of audio when the speakers have regional accents and when they talk too fast. In these kinds of recordings, software-generated transcripts are very prone to mishears – generating words and phrases that do not make sense, providing you useless transcripts. Audio Challenges. Background noise is the most common type of audio difficulty. Severe ones sometimes drown the actual speakers, making it impossible for the software to produce accurate transcripts. A file is also considered to have audio challenges when the speakers are whispering, mumbling or stuttering as they speak, or when there are technical issues like interferences and feedback present in the recording. Severe audio distortion and echoes can be negative factors too. 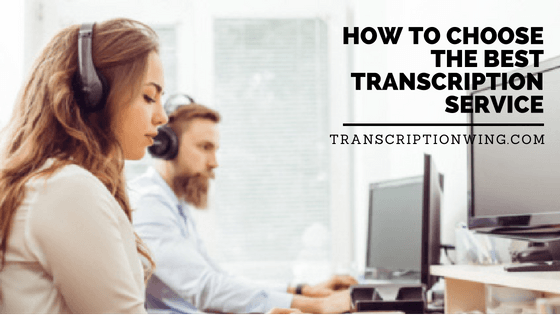 If you want to generate useful transcripts in general, you must provide a spotless digital recording. Limited Vocabulary. What’s also frustrating about machine-generated transcripts is that they have very limited vocabulary in terms of proper nouns and specialized terms. Speech-to-text recognition software typically have difficulty transcribing or discerning unique or local names in their right spellings – the same goes with establishments and brand names. Technical Difficulties. Machines are not always working. They have bad days too. If you’re fully dependent on an audio-to-text converter, technical glitches will be a big problem for you. If not treated immediately, this can even cause delays on your project deadlines. Customization. Obviously, a transcribing software cannot automatically produce custom transcripts. If you have a specific format and other details (i.e. inputting labels and punctuations) you want in your transcript, you’ll have to do it yourself. “Fast” does not always mean accurate, the same way “cheap” does not always mean high quality. There are many “too good to be true” things in this world and automated transcription is still unfortunately one of them. Transcription software can still be useful in certain situations though as long as you take its shortcomings into utmost consideration. Try using a voice-to-text clean up service for proofing and finalization to ensure high-level transcript accuracy. According to Podcast Insights, 17% of the U.S. population listens to podcasts weekly while 26% tunes in at least once a month. That’s roughly 73 million podcast listeners in the country alone. Getting close to that number takes long, but you can definitely start building a wider audience than what you have today. Improve Content Quality. Thrive to better your content every time you release an episode. This is one of the basics of podcasting as people subscribe to podcasts offering excellent content that people can’t get anywhere else – be it news, entertainment, or educational. Make your podcast worth listening to, to grow your listener base and retain your current subscribers. But make sure you put out consistent content and build your podcast on only one area. It is critical to risk jumping from one area to another, as this brings confusion to listeners. Involve Influencers. Invite social media influencers, public figures, or other podcasters to have guest appearances on some of your episodes and vice versa. This way you’d open new marketing opportunities, expose yourself to other people’s audiences, and eventually gain a substantial number of new subscribers. Promote your Podcast on Social Media. 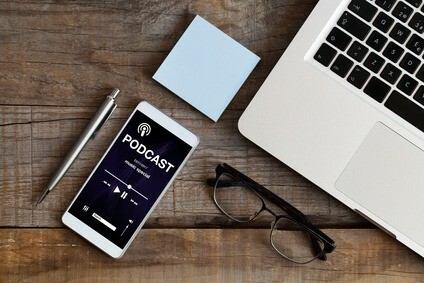 Since podcasts are held on the internet, there is a high possibility that the majority of listeners are social media users too, making it a great promotional tool for your podcast. Creating content for social networking sites like Facebook and Twitter boosts web-visibility. Instagram is also invaluable in social media marketing as brand posts are received exceptionally well by its users. In fact, 65% of Instagram posts are actually branded or promotional ads. Repurpose Content. Developing content is an essential yet time-consuming task if you wish to establish your podcast’s presence on the web. Repurpose your existing marketing materials instead to free you some time for strengthening the actual content of your podcast. Quickly convert blog posts into infographics, downloadable PDFs, instructional video tutorials, or even into a SlideShare that you can easily embed to relevant blog posts. This strategy increases website traffic and at the same time gives your page content variety. Publish Transcripts. A fantastic way to reach people pressed for time but still wants to get the latest information on a spectrum of topics is by publishing episodic podcast transcripts on your webpage. Not only that, audio transcriptions can also help your podcast extend its reach to people hard-of-hearing. If you want to store your podcast in an archive, it is highly advisable to compile them in print documents for easy access and to avoid the hassle of listening back to audio files when searching for a particular information. Make the most out of your current marketing materials and identify other potential tools that will gain you recognition and extend the reach of your podcast. If you’re looking into it – with TranscriptionWing, you don’t even have to worry about the transcription cost as we offer inexpensive but great quality podcast transcriptions complete with state of the art features (like ListenLink) and flexible turnaround times. Have you ever felt excessively stressed and unmotivated whilst in the academe? If yes, that’s definitely burnout, and we can all relate. 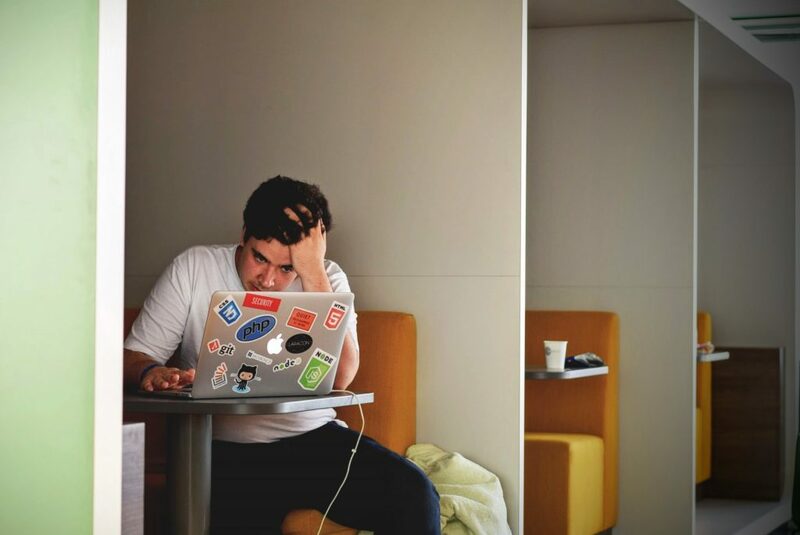 Student burnout is the state of frustration, cognitive weariness, lack of motivation, extreme stress, and universal exhaustion brought by the overwhelming demands of the academic community, resulting to a decline in a student’s performance. You can recognize burnout when you start missing deadlines and dropping grades, or when you experience symptoms such as physical fatigue, low moods, and sleep disturbance among many others. You’ll start to feel drowned by all of the demands and responsibilities that you might even think about quitting. This phase is normal in the institution. It’s not just an excuse – student burnout is real and it could lead to anxiety disorders if not treated immediately. Set Reasonable Goals. Stress is a huge contributor to burnout. The best way to prevent it is by setting attainable goals. Plan ahead before deciding to jump into an overload of classes or courses. Make sure that your schedule can handle it without sacrificing your personal time. The same goes with meeting demanding deadlines. Learn to prioritize your tasks based on their urgency and start from there. When you feel like you’re getting beaten by deadlines, a good strategy is to hunt for tools that can lessen your load of endless writing and reporting requirements, like finding a great academic transcription service with flexible turnaround times that can handle rush delivery. TranscriptionWing, in particular, turns in superior quality transcripts as fast as 4 hours – perfect for urgent or last-minute reports! Take Great Notes. One cause of exhaustion in the academe is the overwhelming notes students have to take. The pressure of getting the complete information is tremendous, as missing few details can jeopardize a whole project. Get the most out of lectures, seminars, or speeches without going through hurried note-taking by audio recording them for transcriptions. Dissertation transcriptions is a lifesaver that can unburden you from transcribing a swamp of long interviews and enable you to spend more time on pressing tasks. Gone are the days when you have to playback recordings to find specific parts, as timestamps can be inserted in transcripts to ease your way through rich data. Get Help. Students who overestimate and drown themselves with schoolwork are the ones who usually experience burnout. It’s great that you opt to be highly productive, but you must know and set your limitations. A great way to acknowledge that is to seek a solid support system – study groups, friends, family, or professional services – that will push you to persevere instead of throwing in the towel. Getting help also builds your momentum and gets you back in the game. Using general transcription services can conveniently save you time and allow you to immediately start studying or write reports without going through menial transcription work. The greatest secret to avoiding student burnout is staying motivated to finish and meet a goal. And I don’t mean for you to be hard on yourself to score perfectly in exams or assignments – simply tweak your perspective on academic achievements to not being overly critical. At the end of the day, what matters is that you put your best effort in striving for excellence. Research transcriptions is a great support tool for boosting your efficiency and productivity as a student without worrying about transcription cost, as we pride ourselves on cheap transcription services with quality second to none! Check out our budget-friendly transcription pricing. Video captioning refers to the process of displaying a synchronized text version of the dialogue and nonverbal sounds of videos on the screen. Captions enable the deaf or hard-of-hearing and people with special literacy needs understand the audio of visual recorded media as much as hearing people do. These are usually used in television shows, movies, online videos, and educational tools. Open captions, or hardcoded captions, automatically appear on the screen as they are embedded in videos and cannot be removed by viewers. These are always in view and permanently engraved for everyone to make use of, giving videos a universal touch for people whose first language is not English or vice versa. Open captions are mostly used in foreign films, public event videos, and YouTube videos. 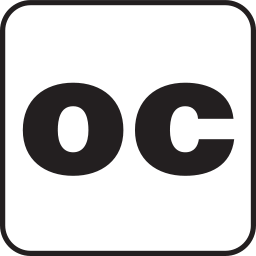 You can identify if a show or video utilizes open captions if there’s an “OC” symbol indicated on TV program guides, DVDs, and cinema guides. Unlike open captions, closed captions are on-screen text descriptors that can be turned on or off by viewers as needed, made possible by keeping the transcript in a separate file as supported by a media viewer software. These are usually helpful for people with hearing and/or cognitive impairments – both children and adults. Hearing people utilize this as well, oftentimes when they’re in noisy locations or when speakers are strongly accented. 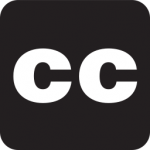 You can identify if a video has closed captioning when you see a “CC” symbol commonly shown in program guides and DVD covers. Captioning enables individuals and companies to meet legal obligations or become Section 508 compliant. Video captioning services help you develop accessible, deaf-friendly visual materials that will surely widen your audience range. TranscriptionWing, in particular, offers video transcriptions or captioning in highest quality for any purposes – be it films, documentaries, sermons, or educational tools. Get an instant quotation using our transcription pricing calculator here.